There is such a thing as length—or quantity—of sobriety, and there is also quality. It’s generally accepted that sobriety ought to be something more than the single process of staying free from alcohol or drugs. We’re on shaky ground, however, when we begin passing judgement on another person’s quality of sobriety. We only have responsibility for the quality of our own sobriety, and it is not for us to decide how another should think or live. We may not be able to avoid noticing others’ actions that we consider to be wrong, but we can keep our thoughts and opinions to ourselves. If we do wish to voice any opinions, it should be in terms of our own inventory—not the other person’s. 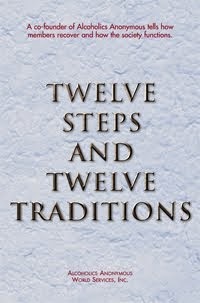 Some old-timers in Twelve Step programs develop crankiness that borders on resentment. Out of this crankiness come complaints about the way newcomers work the program. Our only responsibility is to treat these complaints with good humor and to avoid becoming cranky ourselves. 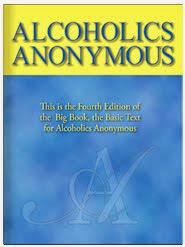 Recovery alcoholics must continue to have the freedom to select any quality of sobriety they choose. Today I’ll strive for a high-quality sobriety that includes cheerfulness, confidence, patience, and good humor. I won’t be responsible for monitoring another’s sobriety.